Dr. Lani is the only ICPA certified Chiropractor in the local area that specializes in a very specific prenatal technique called the Webster technique. ​This technique helps to better prepare the pelvis for delivery by making sure the pelvis and sacral bones are aligned and surrounding ligaments and muscles are loose. Therefore encouraging optimal positioning of baby and allowing for the most healthy, natural birth. Chiropractic care helps decrease the chance of interventions used during birth such as forceps, vacuum extraction and caesarean section. Expecting moms can see incredible results from this technique that allows for optimum pelvic alignment. Pregnancy causes tremendous stress on the female body and alters the normal biomechanics. 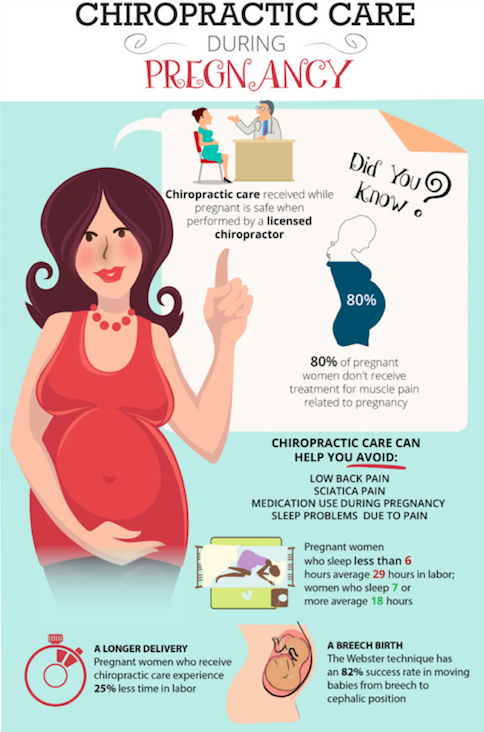 Chiropractic treatment during pregnancy is vital to the normal physiological function of both mother and baby. More women and birth providers are discovering the many benefits associated with chiropractic care in pregnancy and recognize this area of expertise.